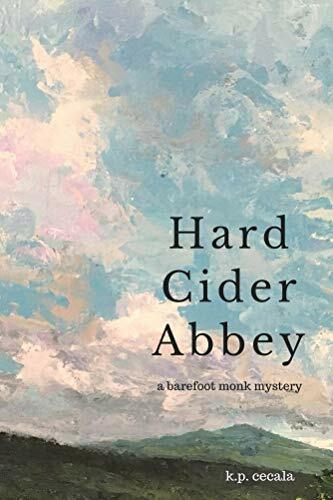 The first book in the acclaimed Hard Cider Abbey mystery series: A remote monastery in the mountains of West Virginia, an eclectic collection of cider-brewing monks, and the unexplained murder of the abbey's august librarian: Who dun it? Young Brother Odo, mute from a childhood trauma, arrives at the abbey, a transfer monk from Quebec. He soon becomes enmeshed in the mystery of Father Lucian's alleged suicide, and teams up with Brother Emerick--a wounded combat vet and former opiate addict, who works in the orchard and cidery--to solve the case. Along the way, the two young monks develop a strong friendship and consider their own personal mysteries, their faith, and whether they will remain in the monastery. This is a semi-cozy mystery in the spirit of Brother Cadfael and Chesterton's Father Brown, full of gentle humor and Appalachian lore, with no profanity or excessive violence. Recently featured in Appalachian Mountain Book Reviews ("remarkable") and singled out by Publishers Weekly: "Cecala crafts a quirky mystery with two unlikely sleuths and an exceptionally appealing setting. Readers will be eager for more adventures from the endearing duo."